Parents all over New Zealand get very frustrated when they realise the establishment they are in doesn’t have a nappy disposal. What are they supposed to do with that nappy? Don’t let your business be one of those businesses that doesn’t think about the issues young families face. Let Alsco install Nappy Disposal bin with large capacity and make sure it is EPA approved and regularly emptied. Nobody likes to deal with dirty nappies, but somebody’s got to do it. Luckily for you, Alsco will deal with this Nappy Disposal bin so you don’t have to touch it or think about it. No matter if you have regular visitors, members of your staff or one-time customers, everybody should have access to hygienic and sanitary conditions to take care of their baby. Alsco’s Nappy Disposal units are designed to ensure maximum hygiene standards. With a generous volume, sanitary bins and regular servicing, they’re a perfect way to offer optimal conditions to the little ones visiting your washroom. 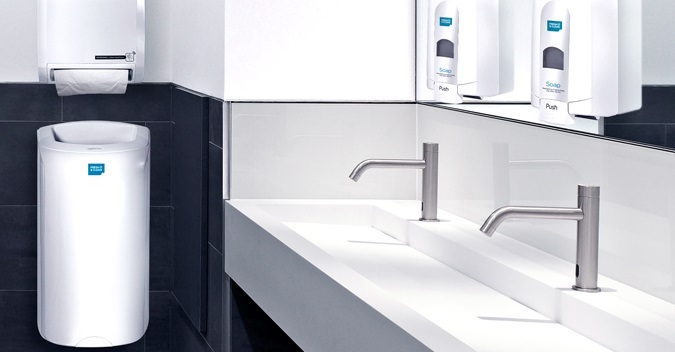 And Alsco’s managed rental service, we’ll even replace each nappy disposal unit entirely when we service your washroom – ensuring your spaces are kept clean, hygienic, and as brand-new as possible.